Businesses are getting non-stop advice on online marketing. I would say most is bad advice. Have any tips for businesses in seeking valuable advice? Stop thinking of online marketing as something new. The tool is new and tried and prove tactics are what works. To avoid snake oil type salesmen avoid firms that tell you it’s a new world and you have to approach it different. The reality is good marketing is good marketing, it has to get the attention of your target audience, motivate them either to remember your brand or to execute a call to action. It’s that simple. Find and engage with firms that ask you about your target audience, your goals and expectations and run as fast as you can for ones that are there to sell glitz and glam. What do you think businesses are forgetting about goals, target marketing and conversion when they venture into social media and Internet marketing? The biggest thing is actually setting goals at all or at least based on reasonable expectations. The same companies will run TV commercials and bus ads costing 10 times as much as their venture into online marketing with no expectations or ways to measure success, but the moment they venture in to social media or Internet marketing they expect measurable results. When it comes to Social Media they need to drop the word “media” and focus on the words social. This is one of the oldest forms of marketing and has one of the longest lead times. One of the measurable impacts of social marketing is customer retention. These numbers need to be part of the objectives, because as all businesses know it generally costs 10 -20 times as much to get a new customer as it does to keep an existing one happy. What do you think businesses should learn before jumping into a social media campaign? To be social. With the introduction of online commerce many businesses have only created an online presence because they didn’t have to deal with day to day interactions with humans. Yet humans craved the social side of commerce (talking to sales people, exchanging ideas about products, etc.) which lead to the expansion of review sites and the adoption of things like Facebook and Twitter. So instead of looking at social marketing as something that just has to be done, they need to embrace it, and find internal staff who know how engage both existing customers and potential customers. Do you see common business marketing mistakes that could be avoided? The biggest mistake made by companies is assigning online marketing duties to people who have no experience or training in this area. Just because someone can master PowerPoint and Excel doesn’t make them a marketer. The next biggest failing is not establishing realistic expectations and goals plus having a plan for what if we exceed these expectations. Once this is in place too many organization choose to look at the cost of the tool and not the quality. 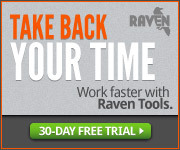 There are many great free tools, but generally you get what you pay for. So find the one you need and get it even if it cost money. In the end it will save you money. You wrote a book called “The Last Original Idea“. What can business owners learn from this book? This book is a look at the historical origins of marketing. We chronicle many historical successes and failures and demonstrate how marketing has evolved, and how those who understand what worked and didn’t work in the past are excelling today. By reading this book, business owners will get a true sense of what is actually taking place in the world of marketing today and then know how to avoid the pitfalls and disasters of the past which as sure as day follows night will rear their ugly heads again. We appreciate your time and great answers! You can find him on Twitter and he hosts #SocialChat on Twitter on Monday nights. Also visit http://socialparler.com for more on #socialchat.